Finding the right way to store your items is more complicated than it sounds. That’s because not all storage facilities offer a wide variety of options to residential and commercial customers. If you’re looking for Albany storage facilities that come with outstanding service, look no further than Don’s Moving & Storage. Assembling all the pieces of your residential move can be a real challenge, especially if you can’t bring everything with you right away. 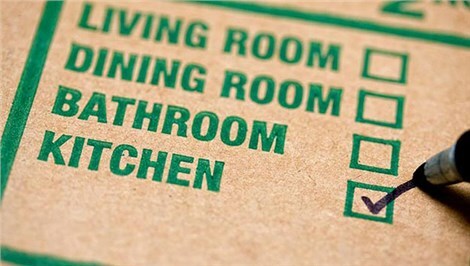 At Don’s Moving & Storage, we make it easy to store your household items with our Albany storage services. Short- and Long-Term Storage: Whether you need a little extra household storage for just a few weeks, or you need to leave your stuff with us indefinitely, we’ve got you covered with short and long-term storage options. Portable Storage: You shouldn’t have to figure out how you’re going to drop off your stuff in the middle of your move. With our portable storage services, we’ll pack up your items and transport them for you. Student Storage: Stop lugging all of your belongings back and forth every time you move! Leave your stuff with us at our secure storage facility and it’ll be ready and waiting for you in the fall. As your business grows, so do your responsibilities, but so does your stuff! It isn’t uncommon for area businesses to realize they need a little extra room in the office. A good solution is to let our Albany storage facility help you get your space back. Warehousing and Distribution: Spend more time running your business and less time wondering about inventory with warehousing and distribution services from Don’s Moving & Storage. Records Management: Tired of your files taking up so much space? We’d be happy to keep all of your records organized and out of the way. White Glove Delivery: We can provide professional delivery services, making us a true extension of your business. Whether you choose to store your personal or professional items with us, you can trust that they’ll be well taken care of. Our 60,000-square foot Albany storage facility is armed with theft and fire protection, and all upholstered furniture is shrink-wrapped for additional protection. If you’d like greater peace of mind when it comes to storing your stuff, choose the Albany storage professionals at Don’s Moving & Storage. Just fill out our online form and we’ll provide you with a free quote!